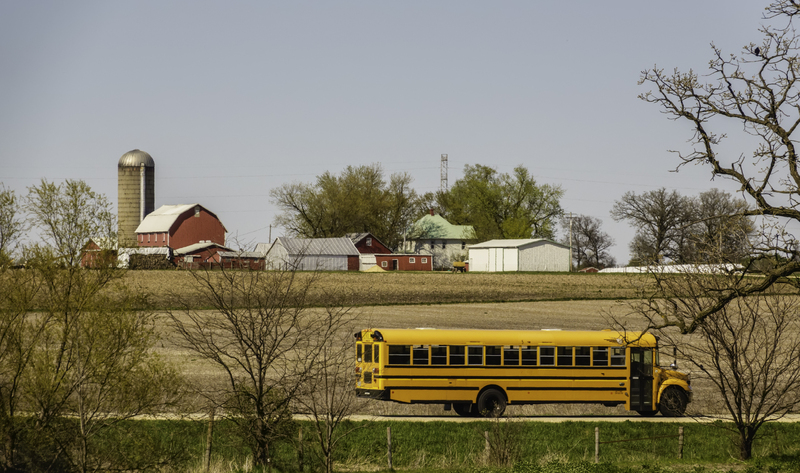 Nearly half of Missouri’s K-12 students live in rural areas. Accordingly, education reform efforts in Missouri should be aimed at helping urban, suburban, and rural families alike. A survey  conducted by EdChoice last November could be helpful in this regard; it highlights the opinions of people living in small towns and rural communities about what kinds of school choice policies they favor. The vast majority of small town/rural residents taking our survey have had children in public district schools for at least one school year (87%), while much smaller proportions said the same of private schools (15%), homeschooling (11%), and charter schools (8%). Like parents in the rest of the nation, small-town/rural parents chose private school as their first option most often; interestingly, a larger proportion of these parents also chose homeschooling as their first option as compared to urban or suburban parents. It is no wonder, then, that small-town/rural parents are overwhelmingly in support of education savings accounts (ESAs) at 74 percent responding favorably. ESAs are publicly funded accounts that are controlled by parents so they access a variety of approved educational services for their children. Depending on a child’s needs, parents can use the ESA to pay for things like private school tuition, online learning programs, or different types of therapy. Because the money in an ESA can be used essentially like a debit card, it allows parents to tailor their child’s education. Compared to other school choice programs like vouchers and charter schools—which were still popular—ESAs were the favorite. The survey should help correct the perception that school-choice policies would mostly benefit urban students. In fact, a study  from the Brookings Institute found that 73 percent of students in Missouri live within five miles of one or more private schools. In many cases, distance is not the primary obstacle keeping rural students from private schools. ESAs would allow families to customize their children’s education. That could mean sending kids to a private school, purchasing supplies for homeschooling, or getting tutoring help for a child with special needs. As more and more evidence suggests that school choice—particularly ESAs—resonates with a majority of parents no matter where they live, shouldn’t we shape our education policy accordingly?